For the first time in Puerto Rico the AcroYoga Lunar and Solar immersions combine in this unforgettable event, and all are welcome in beautiful Puerto Rico. We will celebrate these two international courses together with three of the most experienced and passionate teachers in the AcroYoga community – Laura Velázquez from Puerto Rico, Justin Caruso from New York and Millette Núñez from Puerto Rico. During 8 days we will dive in to open possibilities to cultivate your infinite potential – First we will develop sensitivity and connection through the Lunar arts of Thai Massage and therapeutic flying. Then, via progressive exercises we will catapult your personal practice with the empowering Solar universe. – foot-to-hand, hand-to-hand & 2-High standing acrobatics. Justin feels the body to be a reflection of life: an ecstatic temple, a work of art, and a vehicle for connection. Just before the financial crisis Justin made a timely exit from Wall Street to return to yoga, a practice he began over eighteen years ago. 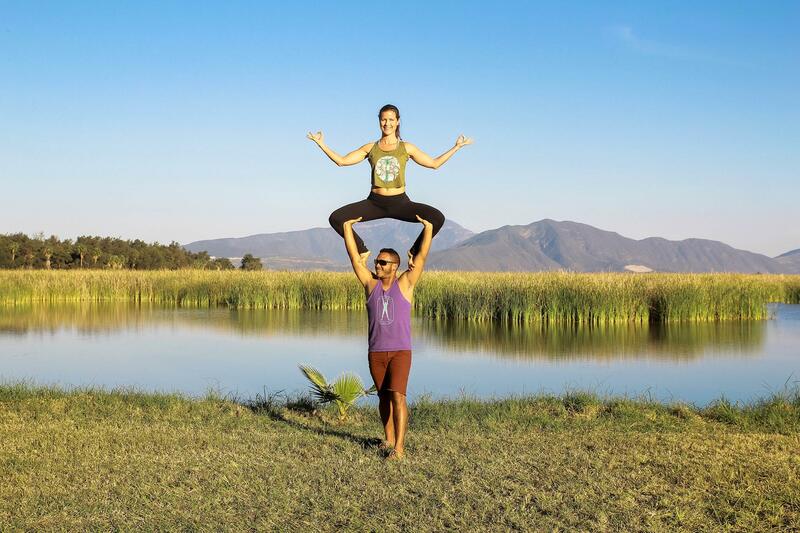 A New York native, Justin has spent the past ten years traveling extensively through South America, Asia and the US, teaching and studying yoga, AcroYoga and bodywork with many of the world’s master teachers. Facebook: https://www.facebook.com/LauraVelazquezMassage Passionate about the human body and its functions. Thai Massage Therapist and Trainer. Continuing Education Provider approved by the National Certification Board of Massage Therapists and Bodywork, USA. Licensed massage therapist graduated at the 1,000hrs level of Puerto Rico Massage & Bodywork Institute. She has traveled the world studying and teaching since 2006. 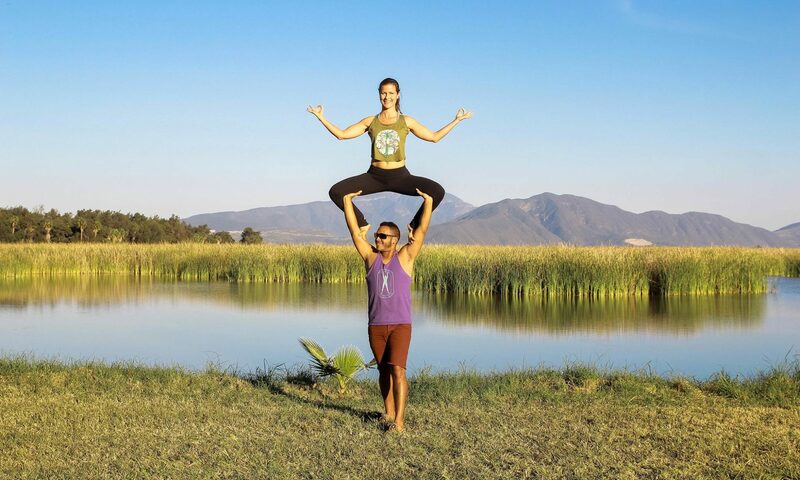 AcroYoga Pioneer in Puerto Rico and the Caribbean. As a professional massage therapist, Laura’s passion is to help people improve their range of motion in the body, and to inspire all to enjoy a healthy lifestyle. With 15 years of teaching experience, Mimi understands the importance of setting high standards while simultaneously building people’s beliefs in their own capacities. She strives to create an environment in which students are challenged, feel safe to take risks and are supported to learn. Currently, Mimi serves as part of the teacher training team at Partner-Acrobatics.com and also works on teacher trainings at AcroYoga®. She offers workshops, immersions and classes at studios and festivals worldwide.